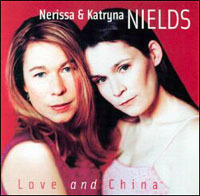 Due to unexpected changes in immigration policies, the Nields were forced to cancel their Canadian shows at Hugh's Room in Toronto on March 21, at the National Library Auditorium in Ottawa on March 22, and at the Black Sheep Inn in Wakefield, QC on March 23.
licenses and even an outdated passport add up to naught. think the other side already won this 'war.'" soon as we can make the arrangements."